Fees from educational institutions collected by parents' committees are illegal. This is reported by several associations, which warn parents about the various types of taxes and new payment kinds. "Solidarity Parents" Association, CReDO and Students CNA have also launched a campaign against this current situation and urge responsible institutions to take necessary measures to prevent the corruption scourge of education. "Parent committees have no right or purpose to collect illegal taxes. You know how it happens, the parent receives the message "Please hand everything on September 1"," said the president of Association Solidarity Parents, Ala Revenco. Moreover, Ala Revenco states that the money collected from parents is spent on salaries oriented to guards, teaching staff or chefs. The Hyperion High School in Chisinau has a parent committee that is not yet officially registered as an association. Here parents pay an annual fee of 200 lei. The administration of the institution assures that the money is managed correctly and transparently. "In parent council's meeting, 200 lei is supposedly collected annually for organizing curricular and extra-ordinary activities," said Deputy Director of Hyperion High School in Chişinău, Natalia Moglan. Interim head of the municipal education department, Alexandru Fleaş, comes up with details. He explained that parents can make donations only if the Parent Association has an official status, which means that it has to present a financial report and is thoroughly checked. "There is only possible case when these fees can be paid: when the parents' associations are registered in the educational institution and registered with the Ministry of Justice. " Non-governmental organizations say that so far no school or kindergarten has been investigated for corruption, even though they were denounced. Furthermore, according to them, the Ministry of Education does not get involved. 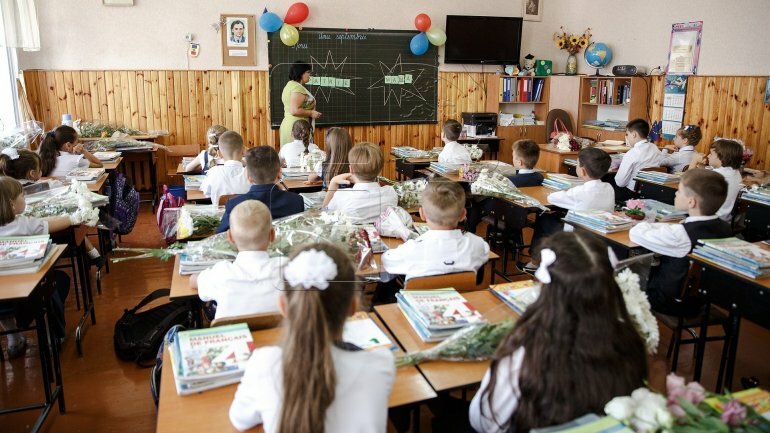 Deputy Minister for Education, Culture and Research, Lilia Pogolşa says the Ministry has received some complaints about informal taxes in kindergartens, but said she will come back later. In the same context, the National Anti-Corruption Center announces that in 2016 they received and examined several citizens' petitions on the inappropriate usage of public funds by the educational institutions's administration or money extortion. The conclusions of these complaints remain unknown. The Ministry of Education last year issued an order banning the illegal collection of money under any pretext. The same document forbids the work of parental committees and illegal associations.